24 Recipes that turn your favorite summer foods and desserts into delicious purees, safe for the swallow. Here is the newest offering from the Essential Puree Library, the best cookbook for the iconic meals of summer, for the puree diet and for the person with a swallowing disorder. The secret to great taste is in the technique. The Purees of Summer uses the healthy cooking technique of the electric grill to make foods safe for the swallow. There are recipes for chilled soups and for great sauces. The book includes instructions for how to make a sandwich using deli fillings with proper thickening. It als0 includes a great section on delicious snacks, the Lassi Come Home. The iconic dishes and sides are tweaked, but the flavor is there. It is better to have a tweaked version of a favorite dish than not to have the dish at all. The loved one no longer has to take the sideline at a family or social event in the summer. Take along a kit to make all kinds of burgers and dogs. If a food is pureed correctly, it should not contain fiber, seeds or skins, or any texture that would make a swallow difficult. The person with the swallowing disorder can join the parties of summer. 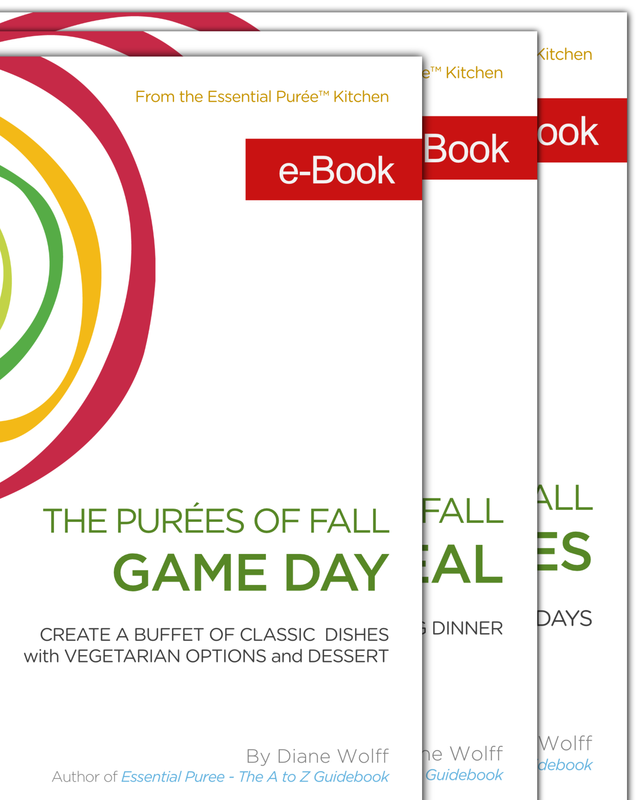 As with all Essential Puree books, flavor rules supreme! The Purees of Summer: Safe Grilling for the Cookout is an eBook that can be displayed on any mobile device.